In some parts of the country, Cody Thomas is thought of as the erstwhile quarterback of the Oklahoma Sooners. But in Rancho Cucamonga and Los Angeles, he'll be remembered more for leading the Quakes to the California League Championship Series. 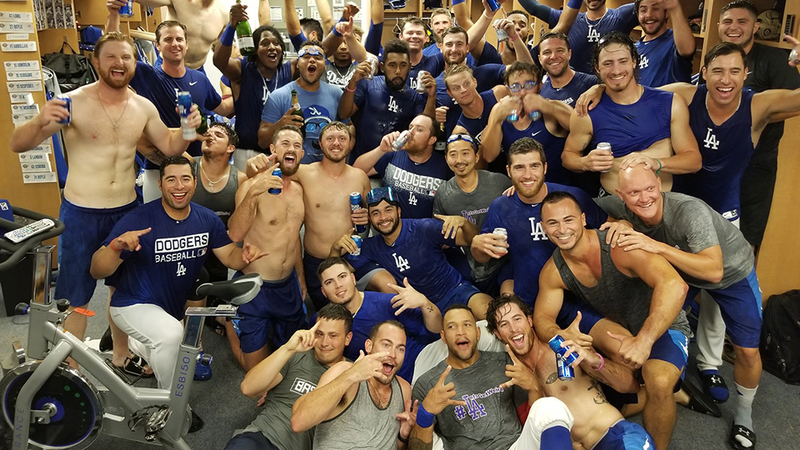 The Dodgers outfield prospect collected four hits and drove in two runs as Rancho Cucamonga beat Lancaster, 8-1, to win the best-of-5 South Division Finals, 3-1. The Quakes exacted revenge after Lancaster ousted them in four games in last year's opening round and reached the Championship Series for the first time since 2015. Thomas doubled to center field in the first inning and scored on Carlos Rincon's two-run homer as Rancho Cucamonga never trailed. He led off the third by legging out an infield hit, then poked an RBI single up the middle in the Quakes' four-run sixth. The 23-year-old flicked another run-scoring single to left in the eighth to cap his third four-hit game of the year. Thomas tied for fifth in the league with 19 homers and finished sixth with a .497 slugging percentage. He's come up big in the middle of the Quakes' lineup, hitting .444 with a 1.222 OPS in four postseason contests. The Texas native hit .244 with a .696 OPS in April but took off after settling in to a more athletic batting stance. "Making that adjustment allowed him to cover more pitches," Quakes manager Drew Saylor said. "He was able to really start focusing on just the game plan." Thomas enrolled at Oklahoma as a two-sport athlete and appeared in seven games -- three as the starter -- for the Sooners, but eventually was beaten out by Texas Tech transfer and eventual Heisman Trophy winner Baker Mayfield and shifted his focus to baseball. It paid off as Thomas was taken by the Dodgers in the 13th round of the 2016 Draft. Rancho Cucamonga starter Max Gamboa allowed one run on six hits over 4 2/3 innings. Logan Salow followed with 1 1/3 hitless frames for the win, Ryan Moseley fanned four over two scoreless innings and Dodgers No. 26 prospect Jordan Sheffield struck out the side in the ninth. The Quakes will face Stockton or Visalia in the best-of-5 Championship Series next week. Rockies No. 3 prospect Colton Welker singled twice and drove in the JetHawks' lone run.